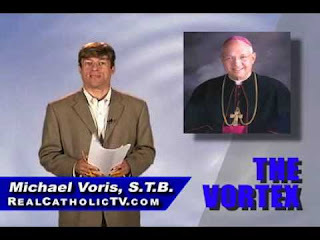 This weekend a presentation by Michael Voris, Real Catholic TV was scheduled at Marywood University in Scranton, PA. His appearance had been approved by the Board at Marywood and he was all set to go. As of Wednesday, April 6th, the presentation had been canceled. The 'reason' given was that he was "too controversial" to have on Campus.